Technology CNC Machining Services are metal cutting services such as turning, grinding, milling, etc. which use computer numerical control of machine tools that run computer controlled patterns determined through the use of computer aided manufacturing systems. CNC machining services have surpassed conventional machining over the years as machine prices have dropped. CNC machining is very effective at turning out medium to large volumes of parts. Machines equipped with automated bar feeders can run virtually unattended. CNC machining services are capable of producing complex parts that might be all but impossible through the use of conventional machining. 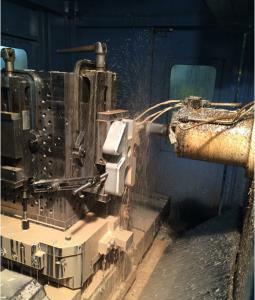 Advantages: CNC machining services have become the de facto standard for most machine shops today. Machines take up more space due to cabinets, etc.